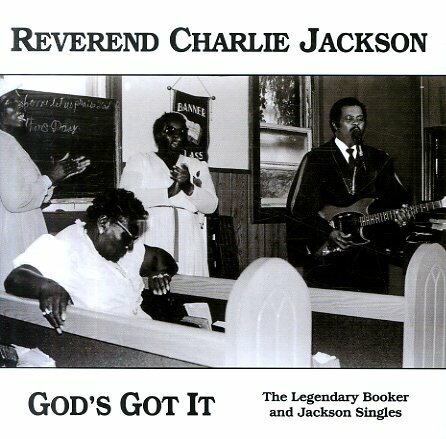 Really raw work by Reverend Charlie Jackson – gospel in subject, but delivered in a style that's much more blues overall – thanks to a stripped-down presentation, and lots of electric guitar from the man himself! The Rev comes across here like some cat recorded out at a juke joint in the country – with the guitar ringing out with incredibly sharp edges, and Jackson singing with this earthy style that really puts the spiritual message in his music across! Titles include "Morning Train", "I Gave Up All I Had", "My Eternal Home", "All Aboard", "I'm Thinking Of A Friend", "Don't Let The Devil Ride", "This Old Building", and "Trouble In My Way". © 1996-2019, Dusty Groove, Inc.